Let me explain. 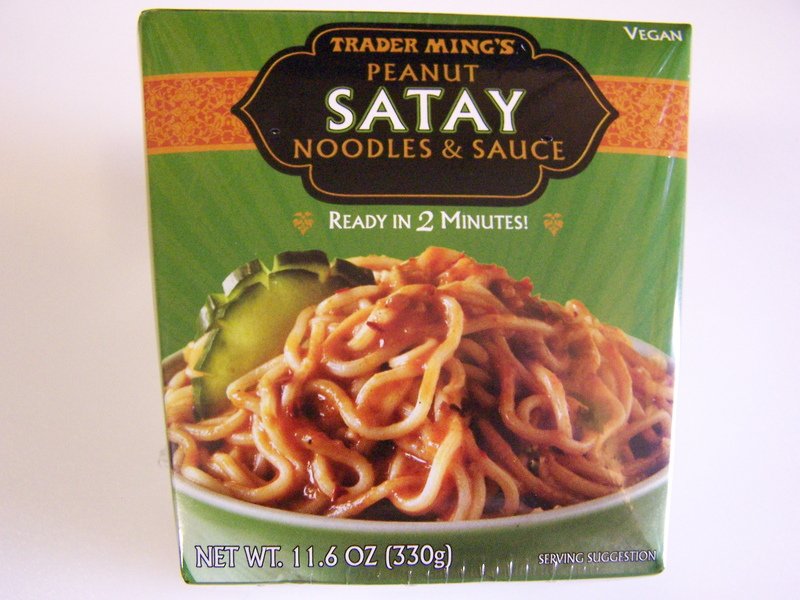 There are 3 pieces to this package; the box it comes in, a package of noodles “canned” in heavy-duty clear plastic and a heavy-duty plastic and foil pouch of sauce. To assemble this meal; tear open the clear plastic packet, empty the noodles into the box it comes in, loosen up the noodles by semi gently prodding with a fork or similar instrument, tear open the sauce packet, pour over the noodles, close the top of the box and heat in a microwave for 2 minutes. Where does the fish bait come in? 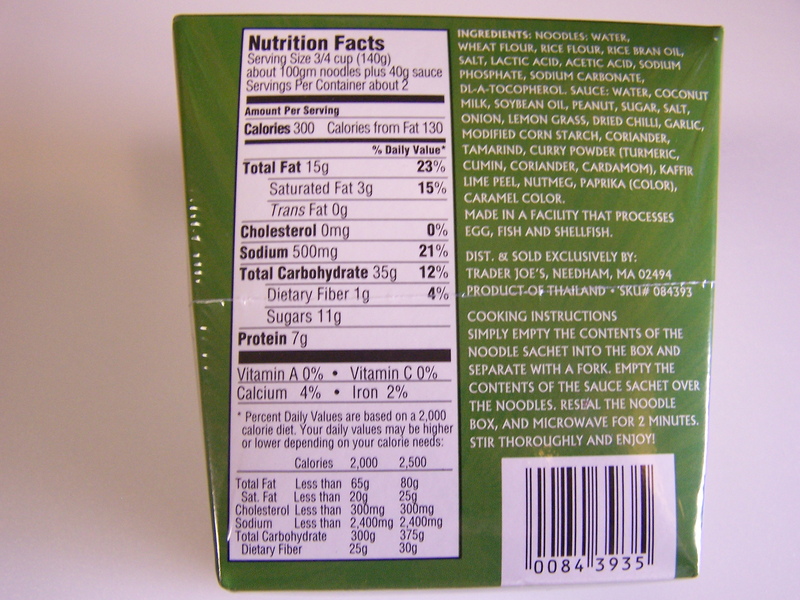 As a result of the canning process, the noodles are “shrink-wrapped” in the clear plastic packet. This tends to tightly compact the noodles together. When you attempt to extricate the noodles from the packet, they have the look and feel of plastic. Given the shape of a noodle, this immediately suggests a bunch of plastic worms used for fishing. I’m afraid to say that the mental image or feel doesn’t completely go away once the sauce is added and everything is heated. The sauce has a pretty decent flavor to it. However that doesn’t make up for the noodles in the mouth, which fell a little slimy. Back to that worm thing. TJ claims there are two servings per container. It’s probably not realistic to think most people would split this meal even if there was another person who would want to share. So, considering most of us would eat the whole container, this is a 600 calorie meal with 1000 mg of sodium (42% of our daily sodium requirement). For the price of the nutritional sins paid, there isn’t enough pleasure to balance things out. In summation, good idea gone wrong. If the noodles could be more noodle like, it would make a better meal. This entry was posted on 08/09/2011 at 19:41 and is filed under Recipes, food, cooking and related items, Trader Joe's, Vegetarian. You can follow any responses to this entry through the RSS 2.0 feed. You can leave a response, or trackback from your own site. Trader Joe’s is a lifesaver! I dunno what I’d do with out it.